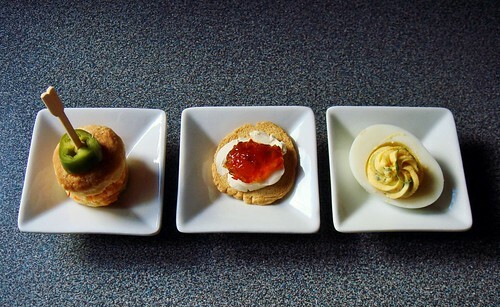 The trio of canapés was eye-catching and packed with flavour. I have a weakness for devilled eggs so of course I had to make them. 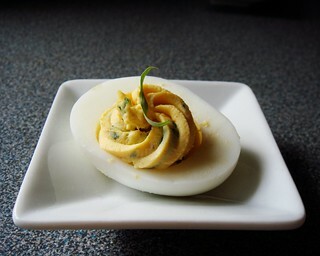 This version from America’s Test Kitchen Menu Cookbook uses a filling of egg yolks, mayonnaise, sour cream, Dijon mustard, white wine vinegar, parsley, chives, and tarragon for well-balanced taste. I filled a disposable piping bag with the filling and star pastry tip and piped swirls of filling into the egg whites after I arrived at the party. They devilled eggs were easy to transport as separate components. The homemade red pepper jelly is part of the bounty I preserved over summer. 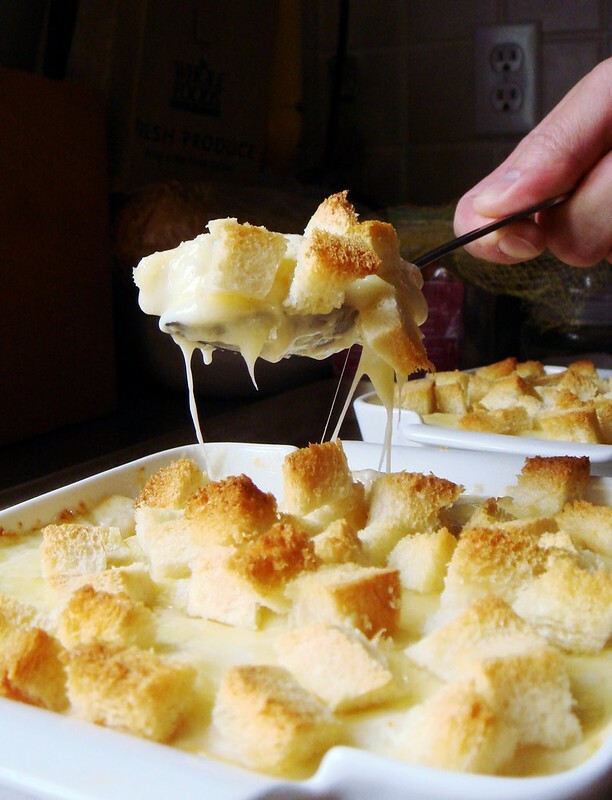 Combining it with cream cheese and melba toast is classic southern appetizer. 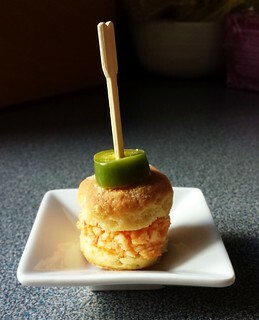 My favourite of all three canapés was the mini biscuits filled with pimento cheese and bourbon pickled jalapenos. Pimento cheese is not common here in Canada but this cheese spread is always a huge hit whenever it is served. My version is a simple mixture of sharp cheddar, mayonnaise, pimentos, garlic, Worcestershire sauce, and Tabasco. Its richness contrasted nicely with the spicy sweet pickled jalapenos into this one bite sandwich. I jokingly called it the Friendship Canapé because it combined three signature recipes between me and two friends. The trio of salads were refreshing side dishes to balance the rich main courses. 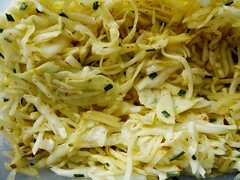 Tangy Apple Cabbage Slaw had a slightly pickled taste with the cabbage previously salted and wilted. I used russet apples for its spicy savoury note that tasted amazing with the cider vinegar and oil dressing. The broccoli slaw was a favourite from smitten kitchen’s recipes. 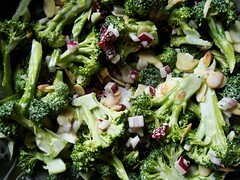 Raw broccoli florets, sweet dried cranberries, toasted almonds, and red onions were dressed in creamy buttermilk dressing. I adored the contrast of tastes and textures in this salad. 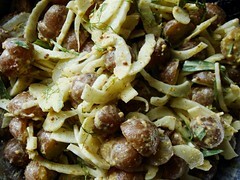 The potato fennel salad was pungent with whole grain and classic mustard. Tarragon accentuated the anise flavour from crispy sliced fennels to cut the heaviness typically associated with potato salads. Southern feast is incomplete with cornbread. I confess that my cornbread was more Yankee than deep south. 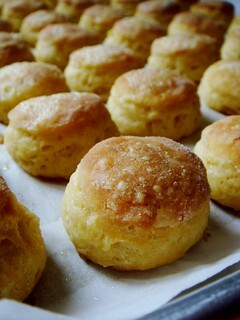 I simply prefer the fluffier sweeter version made with mix of wheat flour and cornmeal! 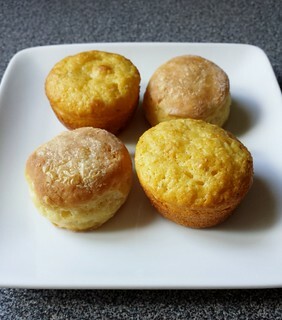 To keep things bite size, I baked the batter in mini muffin pans so people could pop one in their mouth without a second thought. I would have served them with honey butter except past experience told me people generally don’t care for condiments. Well, one fewer things on my to do list. The most popular dish was hands down the rich and creamy macaroni and cheese. The Martha Stewart recipe gathered praises from bloggers for years and I finally got to try it myself. The legend is true. Just go make this right now. You will not regret it. What made it special? Well, the béchamel was smooth and creamy. I loved the blend of sharp aged cheddar and nutty gruyere. The pasta actually finished cooking in the sauce to better absorb all that delicious taste. I plan to make this again real soon so I can have more than a couple of bites (yes, that was all I could get at the party. It was such a hit.). 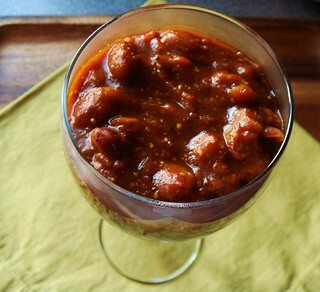 Barbecue baked beans was a trusty slow cooker recipe. It had some depth of flavour thanks to coffee, bacon, and barbecue sauce. I used yellow eyed peas for its creamy texture. I only wished I made more since it was gone so quickly! And there I thought beans are boring and people would skip over them for the meats. 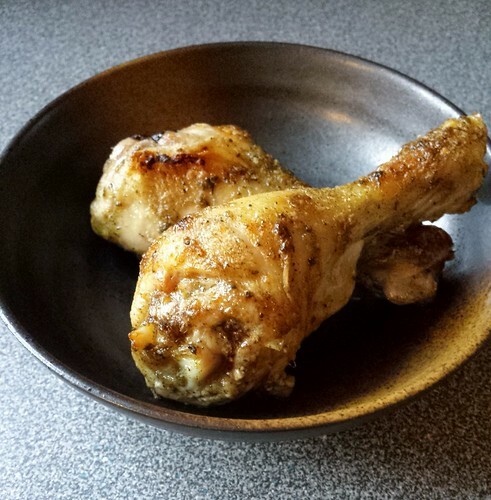 Roasted Chicken Drumsticks marinated in Alabama White Barbecue Sauce was a first for me. The marinade was made with mayonnaise, poultry seasoning, and salt and unexpectedly flavourful. It tenderized the juicy dark meat so the roasted chicken did not turn dry. The recipe said I should baste with additional white barbecue sauce but it was already moist enough. A bit of broiling caramelized the chicken just right. 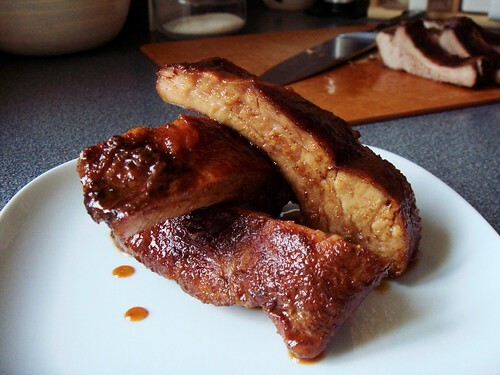 The sweet and smoky oven spareribs was a recipe I made numerous times before except never at this quantity. 17lb of ribs totally overwhelmed my fridge and I had to rearrange everything! Good thing that this recipe doubles…triples…quadruples…easily. The ribs were covered in a delicious dry rub of brown sugar, chilli seasoning, cinnamon, cloves, cumin, and salt before 6 hours of slow and low cooking in the oven. The meat soaked up the flavour and became fall-off-the-bone tender. I wished I had the luxury to glaze and broil them like I usually do. That last step really brings the ribs over the top. Unfortunately, it was just too much to handle in the oven. 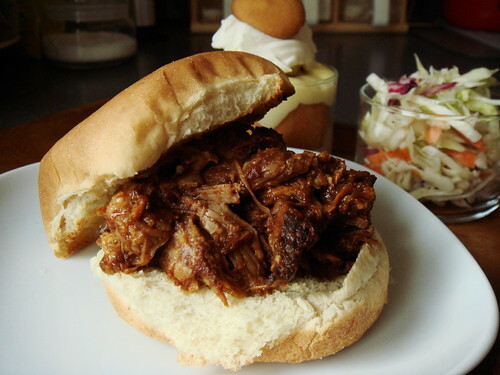 Barbecue Pulled Pork is my go-to slow cooker recipe made countless times before. My skater friends enjoyed it previously at Montreal 24 relay so it speaks volume about the ease of preparation. I made 6lb of pulled pork this time and wished I made more. The combination of dry rub and barbecue sauce gave these pork shoulder deep flavours over long hours in the slow cooker. Dessert was obviously my favourite part of the meal and I went all out to indulge my friends. 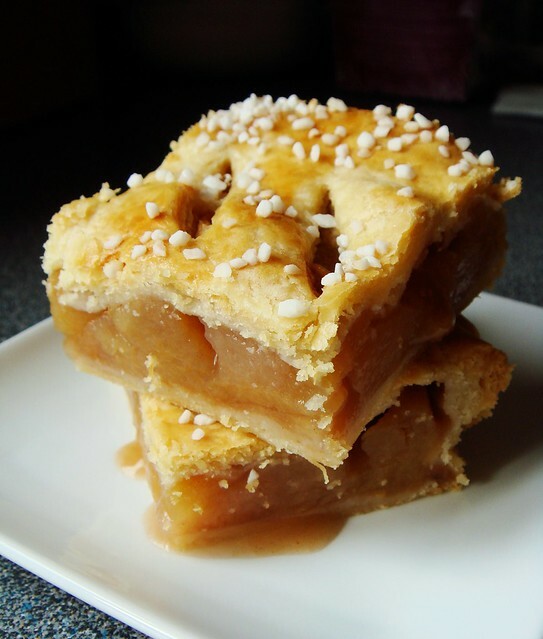 Apple slab pie made with a mix of Northern Spy, Cortland, and Russet apples was everything I hoped it would be. The filling was tart, sweet, and juicy with just a hint of cinnamon. The flakey pie crust enveloped the filling neatly and I was able to cut 28 slices from the 10x15” slab. Thank goodness I had plenty of practice making slab pies from just over a month ago! 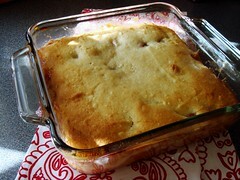 For more southern flare, I also served Peach Cherry Almond Cobbler and Bourbon Bread Pudding. Both are rustic dessert yet enduring classics. The cobbler was topped with a fluffy cakey topping made with almond paste. It is a treat that I make for myself especially in the dead of winter and I need the stash of summer fruit in freezer to remind me of warmer times. As for the bread pudding, this is a very good version with boozy Bourbon-plumped gold raisins hidden throughout. It was more bready than custardy with a crispy cinnamon sugar topping. I will make it again when the mood strikes. The honour of showstopper dessert went to Banana Butterscotch Pudding, a twist on the classic southern staple. I thought food52’s suggestion of using butterscotch instead of vanilla pudding is absolutely genius. 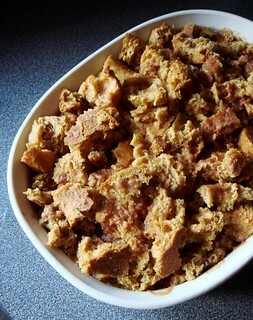 Who doesn’t like butterscotch with its depth of caramel and boozy taste? For the pudding, I turned to help from America’s Test Kitchen. Last year, they published a recipe that depends on the heat of the caramel sauce to thicken the yolks and cornstarch mixture. What a fantastic idea! True to their promise of “recipes that work”, the pudding was silky smooth. 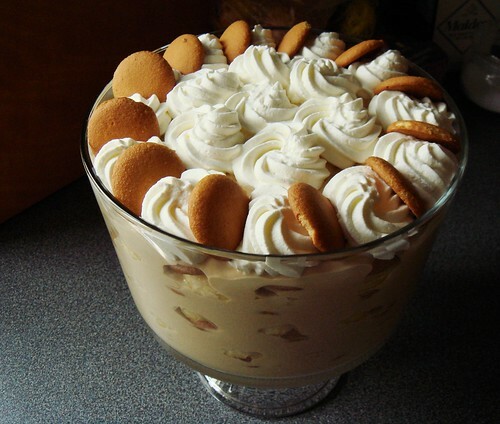 I lightened the pudding with whipped cream and filled the trifle dish with layers of Nilla wafers, pudding, and banana slices. It was glorious. I only wish I have more reasons to make this dessert more often! I am happy with another successful party and came away with many positive feedback. It may be a long time before I cook for a large crowd again but the lessons I learn from this experience will serve me well for years to come.